Disclaimer: I participated in a campaign on behalf of Mom Central Consulting for Air Wick. I received product samples to facilitate my review and a promotional item as a thank you for participating. I love it when the house smells good. There’s something about walking into a room that just makes it feel homier when it has a warm or clean fragrance. We’ve tried a few different products to help our home smell amazing. 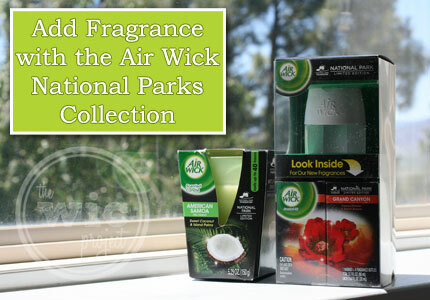 One product that has stood out when it comes to both scent and fragrance strength was the Air Wick National Parks Collection scented oils and scented candles. 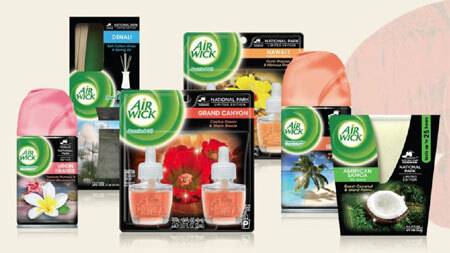 Amazing, inspired scentes with the Air Wick National Parks Collection. Love the Air Wick National Park Scented Candle and Scented Oil! 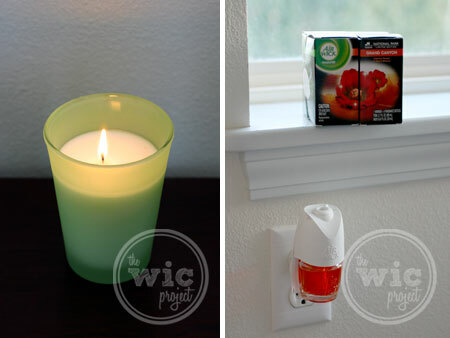 The next day, we tried out the Air Wick National Parks Collection scented oils. In addition to American Samoa, the scented oil collection also has Grand Canyon (Cactus Flower & Warm Breeze), Denali (Soft Cotton Grass & Spring Air), and Hawai’i (Exotic Papaya & Hibiscus Flower.) I decide to try Air Wick’s Grand Canyon scent first. The scented oil holder has five different settings for how much scent you would like. I cranked it up to high and after a few minutes, I started smelling a warm floral scent. But not floral like “grandma” floral, but a complex floral that is almost sweet. While the American Samoa scent was fresh and clean, Grand Canyon is warm and homey. The scented oils should last at least a month for each scent and I can’t wait to try out the other scents. In addition to Scented Oils and Scented Candles, the Air Wick National Parks Collection also has reed diffusers and a Freshmatic spray. The entire National Parks limited edition collection was specially crafted by as part of “The Craft of Fragrance”, with fragrance experts who working hard to create scents that represented the natural elements found in these national parks. Other scents in the collection include Virgin Islands (Tropical Plumeria & Honeysuckle) and Gulf Islands. The limited edition Air Wick National Parks Collection is available in stores now, ranging from $2.99 – $5.99. This sounds like a great scent selection, like a mini vacation. I like that there are a number of different sorts of each fragrance, so there’s sure to be a version that works in the space with no outlet or whatever. What a cool idea! 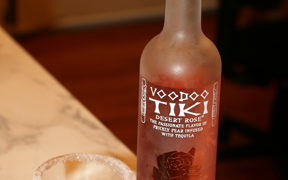 I’d love to try these. I love Air Wick I use them all the time but I have not tried this yet. I am definitely going to pick up one of these scents the next time I go to the store. Thanks for sharing. With a house full of kids and pets this es exactly what I need! I can’t wait to try this great line of products.